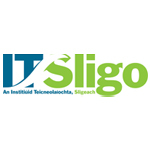 Description: IT Sligo is home to 6,000 students across the Institute’s full-time, part-time and apprenticeship programmes. IT Sligo is also a fiercely ambitious third level institution. Working towards re-designation as a Technological University, a €60 million investment in campus facilities over the last decade has created a stunning 21st century learning environment. Across the Institute’s three Schools of Learning in Business & Social Sciences; Engineering & Design; and Science, IT Sligo is constantly developing and enhancing its courses and facilities to provide an overall package which matches the needs of the student today – and tomorrow.